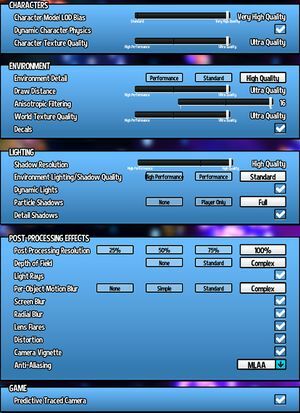 Full modding and Steam Workshop support. Free on launch day (September 13, 2018) and for Kickstarter backers. 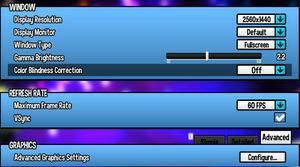 See Widescreen resolution for custom resolutions. Cutscenes are Vert-. See Multi-monitor. FXAA 0-5 and MLAA. See Anti-aliasing (AA) for MSAA. 30, 48, 60, 75, 90, 120, 144, 165, and unlocked. Change ResX= and ResY= values to the desired resolution. Open HatinTimeGame.exe with a hex editor such as HxD. Change 61 0B 36 3B to 61 0B 66 3B. Change MaxMultiSamples=1 to the value you want (2, 4, 8). 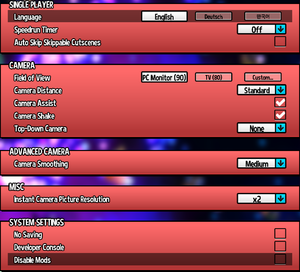 Directly supports Gamecube, PS3, and other "Generic" controllers with button prompts, as long as Steam's Controller config is off. Open the RED menu "Game Option"
Scroll right down to the bottom and enable "Developer Console"
Set Out of Focus Volume to 0%. Software 3D Audio: set 3D Positional Audio to true. Compatible with X3DAudio HRTF for headphones. 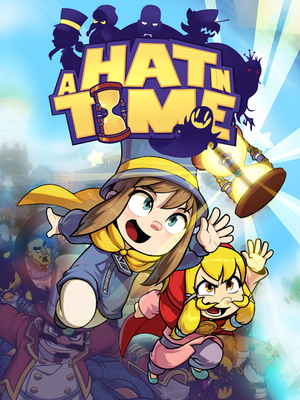 See Helix Mod: A Hat in Time. This may be due to an unstable internet connection. Using GOG Galaxy might help. Includes both a 32-bit and a 64-bit executable. ↑ 2.0 2.1 File/folder structure within this directory reflects the path(s) listed for Windows and/or Steam game data (use Wine regedit to access Windows registry paths). Games with Steam Cloud support may store data in ~/.steam/steam/userdata/<user-id>/253230/ in addition to or instead of this directory. The app ID (253230) may differ in some cases. Treat backslashes as forward slashes. See the glossary page for details.